Did you score Below 150 in the just concluded JAMB 2019 Examination? Well, don’t worry, we decided to write this article, to help and notify all candidates who scored below 150 in the 2019 Unified Tertiary Matriculation Examination, on the next step to take, if they want to gain admission into the school of their choice. Please take note, that the main aim/reason for creating this topic today, is to help guide all candidates who fall into this category, the next step to follow, to gain admission into their preferred school of choice. 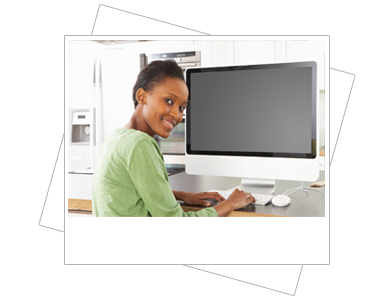 Can you successfully Upgrade JAMB UTME Result to 250 and above? Here, we list the possibilities and impossibilities of accomplishing this feat. The truth is that candidates who fall into this category have concluded that they will not be gaining admission into their school of choice (university) this year. Don’t worry, there’s truly no reason why you won’t legally and lawfully gain admission into the school of your choice this year. Here are What and what you need to put into consideration, and these other options for securing admission for 2019 academic session are listed below. 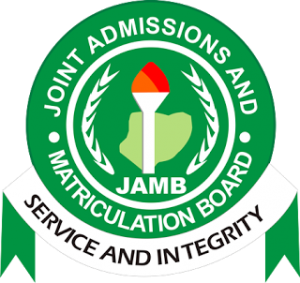 Interim Joint Matriculation Board (IJMB). The Pre-Degree Programme is mainly offered by many Nigeria universities, and this programme is designed, to help and support all candidates who did not meet the certain requirement for admission in their school of choice. Usually, candidates are admitted into a degree programme of their choice after completing the pre-degree programme which usually takes a year, and they must complete the programme in their school of choice. If you scored below 150 in your jamb examination and don’t want to go to College of Education, then we’ll advise you, to try out this option. With this option, you can gain admission into your school of choice. We’ve discovered and it’s a well-known fact, that candidates who apply for part-time and evening programmes get admitted directly to 100 level just like the JAMB UTME candidates. However, the only notable difference between JAMB UTME candidates and candidates who participated in the evening programme/part-time programmes is that you are likely spending a one additional year in school. Which makes the year a candidate who is going for a course of 4 years, spend 5 years. Another difference here is that the tuition fees are usually high for candidates who attend the programmes. Interim Joint Matriculation Board (IJMB) is an Advanced Level programme, which was created, in order, in to and allows students, who failed to get admissions through UTME, to gain admission into 200 Level of any Nigerian university of their choice after completing the programme. The programme usually lasts not more than a year. The sad part is that MOST IJMB programmes are a scam and people are complaining about them, they are not legalized by the National Universities Commission and so, they don’t have the license to teach. I won’t advise you, to use IJMB, except you have the money to spend. What are the other options iI should consider if I don’t like any of the above-mentioned methods of gaining admission when my score is low? The truth is that there’s nothing you can do again, the ONLY solution is to wait till the next 365 days so that you can partake in the 2019 JAMB UTME examination. The truth is this, if you failed your 2019 UTME exams, this does not mean you can’t do well in your 2018 UTME examination. However, what so ever option you choose, we support you. Dailyschoolnews Nigeria is wishing you, the very best.